Friday the 13th has turned out to be an excellent slasher game for the PS4, Xbox One, and PC -- just like the film series it is based on. 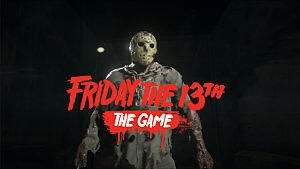 Besides an incredibly detailed depiction of the Friday the 13th locations, you will find many other cool references from the original movies in the game. 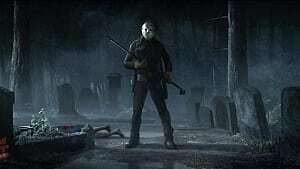 Some of the most iconic characters (apart from Jason Voorhees himself) are making a comeback, and they play an integral part in the game’s story. But some of the easter eggs in the game are less obvious. If you want to learn about them and find their locations, then keep on reading. Not many people know this, but the original villain of the Friday the 13th franchise was actually Jason’s mother -- Pamela Voorhees. Mrs. Voorhees appeared in the first film from 1980, where a character named Alice Hardy beheads her. In the same movie Jason created an altar in honor of his mother, and put her head and clothes on it. This scene has become so iconic that the developers had to include it in the game as well. 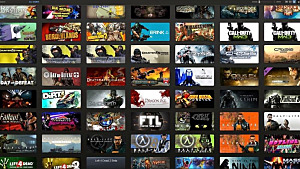 YouTube personalities have been referenced in many other games before. 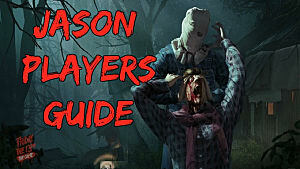 Now, you can find a similar reference to one of the most popular “let's players” in Friday the 13th -- H2O Delirious. He is especially known for his maniacal laughter and excellent Friday the 13th gameplay videos. You can find the grave of H2O Delirious in the game and get the Teddy Protector achievement. If you want to find it, you need to load up a match on the Higgans Haven Map and look for the cemetery located in the northwest part of the map. There you will see the tombstone of H2O Delirious with a teddy bear beside it. 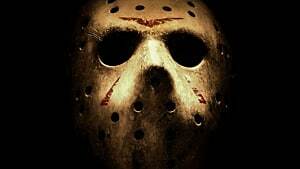 Currently, there are twelve movies dedicated to the Jason Voorhees character. In the span of those films, he's managed to kill many people in some incredibly cruel ways. For example, one of his most iconic kills was performed using a machete. You can experience all these murder methods in the game, and even earn special achievements for doing them. The list of these methods includes: the machete dismemberment kill, the fireplace kill, the sleeping bag kill, and many others. 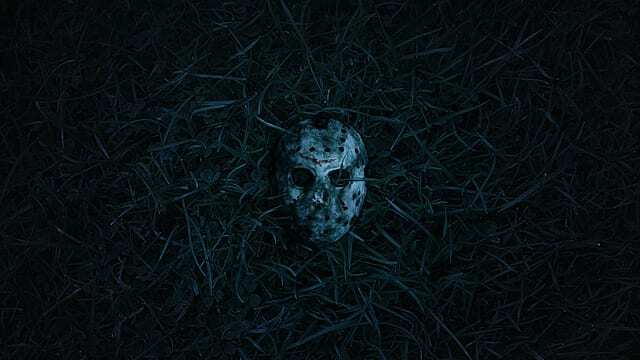 In Friday the 13th, you have the chance to choose between different looks for Jason Voorhees. One of the most grotesque choices is his “naked brain” look from the 9th movie in the series -- Jason Goes to Hell. Also, there is a corresponding achievement tied to this easter egg in the game. 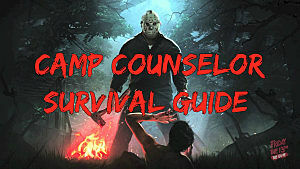 In order to earn it you need to kill 666 counselors -- an appropriate number for such a wicked character and game. Tommy is a special character that appears in the game only as a replacement for another player who either managed to escape or got killed. The original Tommy Jarvis first appeared as a teenager in the movies (parts 4, 5 and 6). 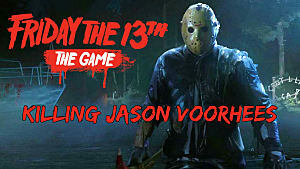 He plays a vital part in the process of killing Jason both in the game and in the movies. 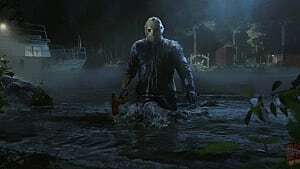 His stats are better than of any other characters in the game, which makes him fast and strong enough to be able to actually deal with Jason once and for all. There is a really neat reference to Nintendo’s own Smash Bros. franchise, but not in a literal sense. If you manage to hit Jason with a baseball bat 100 times, you will get the Smash Bros. achievement. It shouldn’t be too hard to accomplish, especially if you’re on a mission to kill Jason that requires quite some beating. And it turns out that the baseball bat is one of your main tools in this uneasy endeavor. A yellow raincoat is the classical reference to the very first movie, which was shot almost entirely in the dark. In order to make the characters visible, director Sean S. Cunningham asked actors to put on yellow raincoats that would make them stand out during the night shots. The same yellow raincoat can be seen in the game hanging in one of the cabins. It’s a small reference, but really shows the attention to details. 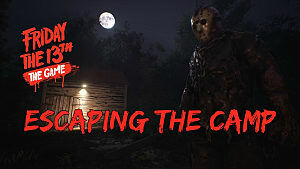 Have you located any other great easter eggs in Friday the 13th The Game? Share your finds in the comments section.